Mr. Putin, perceiving an intrusion into his country’s affairs, campaigned hard against the measure. When it passed, he retaliated by ending American adoptions of Russian children. The law became a prototype for the blacklisting of prominent Russians accused of murders, human rights abuses and financial theft, among other violations. The question of who was involved in the tax fraud became vitally important first to the investigation, and eventually to the final scope of the legislation. Access to inside information became pivotal and, it turned out, lethal. To date, five people who either handed over such information or were potential witnesses have died under mysterious circumstances that, in their sophistication, suggest state-sponsored killings. One of the victims was Mr. Magnitsky, whose death was hardly the stuff of cloak-and-dagger security operations. Two others died before Mr. Magnitsky. And as the case gained greater prominence, others began dying under mysterious circumstances. One victim whose death preceded Mr. Magnitsky’s, Valery Kurochkin, a potential witness whose name appeared on documents related to the fraud, fled Russia for Ukraine but died there of liver failure at the age of 43. The other, Oktai Gasanov, a low-level figure in the fraud case but one who might have shed light on the group’s modus operandi, died of heart failure at 53. Then, after Mr. Magnitsky’s death in prison, a fourth insider met an untimely end in a plunge from a balcony. A fifth, a banker linked to the scheme, Alexander Perepilichny, made it to London in 2009 and passed wire-transfer records to Swiss investigators. In 2012, however, at the age of 44 and in apparently excellent health, he suffered a heart attack while jogging. The police were left scratching their heads over the body found crumpled on a road in a well-guarded housing development, home to Kate Winslet and Elton John. An autopsy initially did nothing to clear up the questions. It was not until 2015 that a botanist was able to identify the presumptive cause of Mr. Perepilichny’s death: His stomach held traces of gelsemium, a rare, poisonous plant grown in the Himalayas and known to have been used in Chinese assassinations. A coroner’s inquest is scheduled for September. The agencies developed an arsenal of lethal, hard-to-trace poisons that, analysts of Russian security affairs say, is still in use. The Arab-born terrorist known as Khattab died in 2002 in his mountain hide-out in Chechnya after opening a letter laced with a form of sarin, a nerve agent. In 1995, a Russian banker, Ivan K. Kivelidi, died after coming in contact with cadmium, which is deadly to the touch. His secretary died of the same symptoms, apparently because the poison had been spread on an office telephone handset. In 2008, Karinna Moskalenko, a Russian lawyer specializing in taking cases to the European Court of Human Rights, fell ill in Strasbourg, France, from mercury found in her car. And in one case, a Bulgarian dissident, Georgi Markov, was killed on Waterloo Bridge in London in 1978 with an umbrella tipped with a pellet of ricin. Mistakes abound. In 1971, a year after he won the Nobel Prizefor literature, Aleksandr Solzhenitsyn survived a poisoning attempt. Ricin, made from castor beans, was probably involved, according to news media accounts and a biography of the dissident writer. Ukraine’s former pro-Western president, Viktor A. Yushchenko, was left with his face disfigured after a dioxin poisoning — most likely concealed in a meal of boiled crayfish — that Mr. Yushchenko attributed to Russian assassins. The attempt on Mr. Kara-Murza’s life turned out to be one of those mistakes, though that was not immediately certain. As his colleagues looked on surprised, Mr. Kara-Murza’s sweat-covered head flopped down onto a table. The poison threw him into a weeklong coma with a puzzling range of symptoms, including swelling in his brain and kidney failure, giving his legs and arms a blue hue, his wife, Yevgenia, recalled. He endured nerve damage that left him limping, but has otherwise made a full recovery. A French laboratory found heavy metals in his blood but was unable to identify a specific poison or explain how he might have ingested them accidentally. Mr. Kara-Murza, 34, has insisted that the police open an investigation. He is convinced that he ingested the poison during a flight on Aeroflot. If so, it would not have been the first time such an episode occurred. In 2004, the opposition journalist Anna Politkovskaya drank poisoned tea on a domestic flight operated by Karat, another Russian airline, but she survived. Two years later, she was shot and killed in her apartment elevator. Some do take precautions. 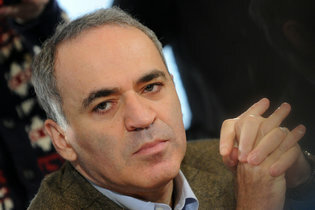 Garry Kasparov, the former chess champion and now an opposition figure, has long had bodyguards carry bottled water and prepared meals for him. Correction: August 23, 2016 An earlier version of this article, along with a picture caption, misidentified the airline whose flight Anna Politkovskaya was aboard when she drank poisoned tea in 2004. The airline was Karat, not Aeroflot.